How WoodyKnows Nasal Dilator(Nose Vent) address Snoring? 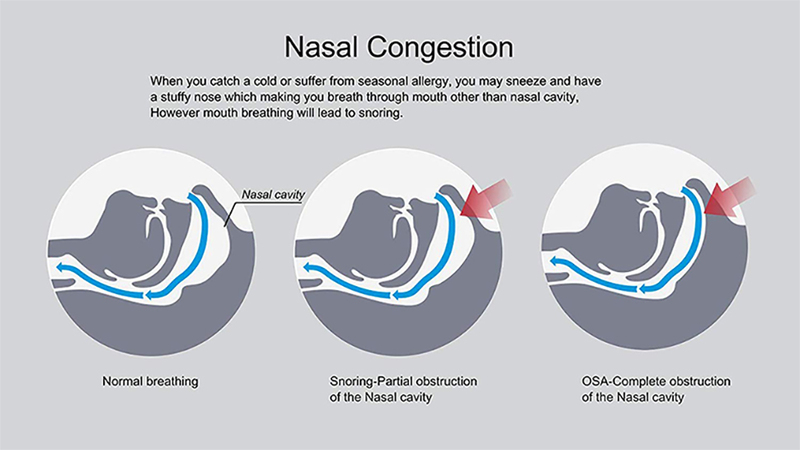 WoodyKnows Nasal Dilator, as a physical way to relieve nasal congestion and snoring, can effectively support your nasal cavity, open up your nose and maximize the airflow. It will eliminate or substantially reduce snoring and allow snorers to breathe freely. Snoring is the vibration of respiratory structures and the resulting sound due to obstructed air movement during breathing while sleeping. 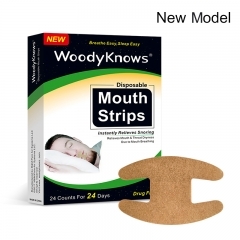 WoodyKnows nasal dilators can effectively support your nasal cavity, open up your nose and maximize the airflow so that will relieve nasal congestion and snoring. When you catch a cold or suffer from seasonal allergy, you may sneeze and have a stuffy nose , making it difficult to breathe, especially when you lie down. Try WoodyKnows nasal dilators to gently open your nasal passages, and deliver instant relief for a stuffy nose. When you exercise, your muscles are moving quickly, the blood cells need more oxygen to the muscles. If you have trouble breathing through nose, you may be lack of oxygen. WoodyKnows nasal dilators help expand your nasal passages and maximize the airflow. that of your nose, please do not choose size according to your outer nose size. First-time buyers are recommended to order the multi-pack（S/M/L/XL). Hold the nasal dilator with narrow end facing you. Tilt it and insert the narrow end into your nasal passage. Push the wider end into your nasal passage. Fasten the connectors. Adjust it with fingers. Make sure it dilates your nose effectively. Other:1 pc storage case, 1 pc manual. 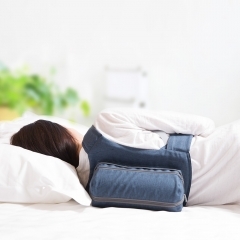 position without being blocked by the relaxed soft palate which will relieve snoring due to throat obstruction Effectively support your nasal cavity and maximize the airflow which will relieve snoring due to nasal congestion Effectively support your nasal cavity and maximize the airflow which will relieve snoring due to nasal congestion Reduce snoring and sleep talking by gently closing your mouth. Check this out to see how important the sleep is. Snoring is the vibration of respiratory structures and the resulting sound due to obstructed air movement during breathing while sleeping. In some cases, the sound may be soft, but in most cases, it can be loud and unpleasant. Snoring during sleep may be a sign, or first alarm, of obstructive sleep apnea (OSA). First-time Buyers are Recommended to Order the S+M+L+XL Multi-sized pack! These little things are a god send for me. Once they arrived I immediately tried them and didn't realize how little air I was breathing through my nose until putting them in. I've never been a morning person; I would wake up tired, grouchy, a bit disoriented, and it was always a struggle to get out of bed. I've always set three different alarms and never drug myself out of bed until the third one. On a recent family vacation in which rooms where shared, I was urged by some family members to see about going to a sleep clinic because they thought I had sleep apnea. I've actually woken myself up a couple of times grasping for air, but didn't really think much of it until they pointed it out, because it didn't happen that often. I found these and decided to give them a try until my appointment. The very first morning after wearing them I woke up and got out of bed after the first alarm. It was the first time in a long time that I woke up feeling refreshed and like I had actually slept. My mouth wasn't dry, my throat didn't hurt and I wasn't all congested. As far as snoring goes, I couldn't say how it works for that, I sleep alone. I find them pretty comfortable as long as you find the right size. The only part I could really feel was the connector and I got use to it pretty fast. I have been a Breath Rite user for longer than I can remember. They were better than nothing and did help with my breathing but didn't stop the snoring and I still woke up with headaches. I've tried throat sprays. I've tried all kinds of oddball devices (you don't want to know!). I saw these on Amazon and thought "why not?" I read the reviews, mostly positive and a few negative and figured nothing works for everyone, especially when it comes to snoring. Well, let me tell you putting this in for the first time is a little freaky. I mean, I had flashbacks to being a toddler and having Mom yell "Don't put those peas up your nose!" Seriously, how often is it good to shove plastic up your schnozz? I started with the large size thinking it would work best because I have a large nose. Too big. I jumped down to small, and it was too small. The medium turned out to be my Goldilocks point. Just right. As soon as I got it in right I never wanted to take it out! I looked at my wife and said "Is this what breathing is supposed to be like?" Of course her answer was less than helpful. "I don't know, it's in your nose not mine." Yep. Should have seen that coming. Still, I hadn't had so much air flow through my nose in decades! The air actually hurt a little at first. Now for the snore test. I can say that the wife says the snoring is very much decreased. It's not gone altogether, but it is far more tolerable than it has ever been. And I haven't woken up with a headache since I started using this little gem! The only real negative I have found is that it constantly feels like you have a huge booger begging to be picked. I mean, you do have a foreign object up there! I've gotten more and more used to that though. I plan to buy these in bulk just in case they go off the market for some reason. The Nasal Piece I have been looking for! This is my second try at a product that reduces my snoring. I very impressed with the product. I was using the sleep right nasal breath aide and was having trouble with it causing tremendous pain in my left nostril. I decided to do a little more shopping around and came across WoodyKnows's nasal piece. I use the nose piece every night with no pain. I had no idea I could breath at night with a nose piece and have no pain in the morning! 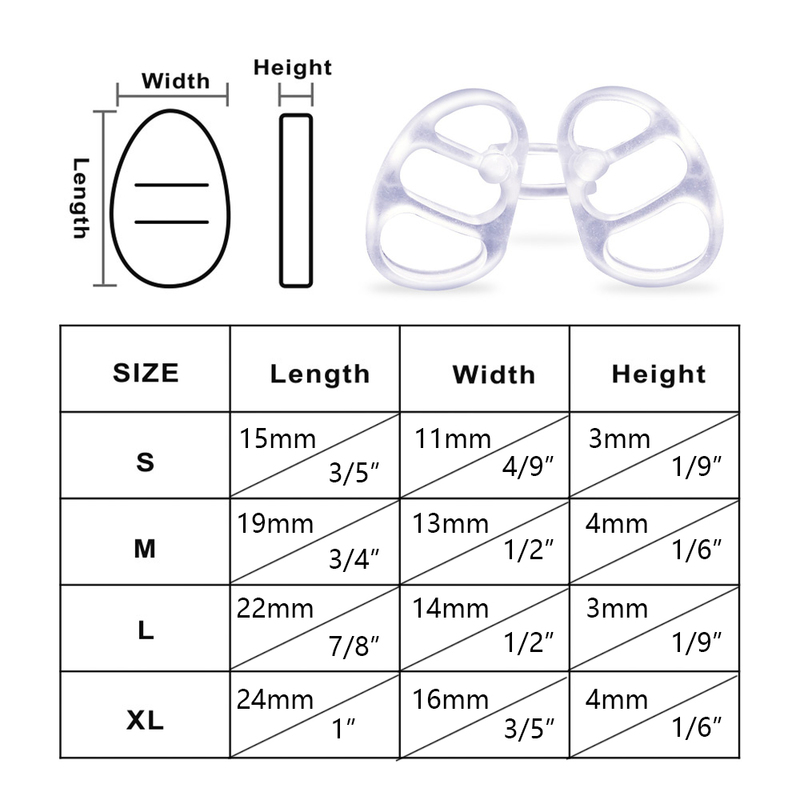 If you choose the nasal piece, please read the instructions of how to use it. It is quite the sophisticated nasal piece and has some great features of how to remove it and adjust it within your nose that you wouldn't know unless you read the instructions.